While I would love to make everything from scratch, there is just not enough time in the day! One of the store-bought items that I purchase on a regular basis is salad dressings. I avoid going down the aisles, so I buy the dressings that are refrigerated in the produce section. 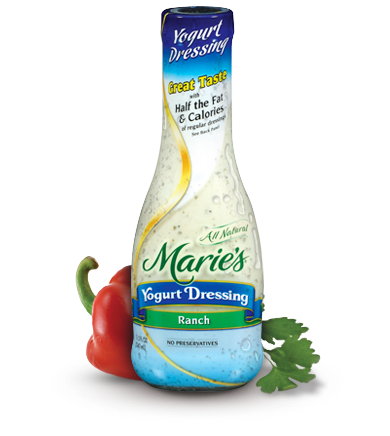 My go-tos include the Bolthouse brand along with Mar ie’s dressings. These two brands offer yogurt-based creamydressings as well as vinaigrettes. Because they contain no preservatives, they require refrigeration and do not have a long shelf life. Just another incentive to add more salads to your daily diet! There is no high fructose corn syrup in them like you would find in those sitting on one of the center aisles. I have introduced a number of people to these dressings, and each person has given them rave reviews! Homemade Sweet Hummus for Sale!